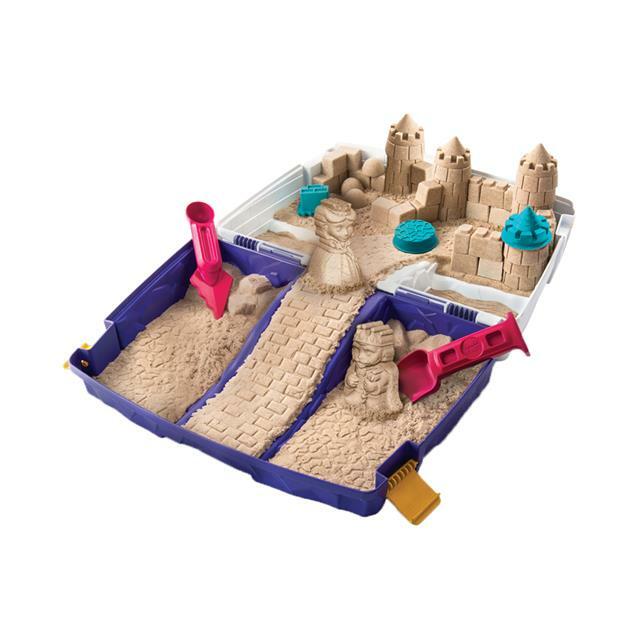 Mold and build endless creations with the Kinetic Sand Folding Sand Box! Kinetic Sand is the squeezable sand you can't put down! It's the magical, moldable sand that flows through your fingers, leaving them completely dry. 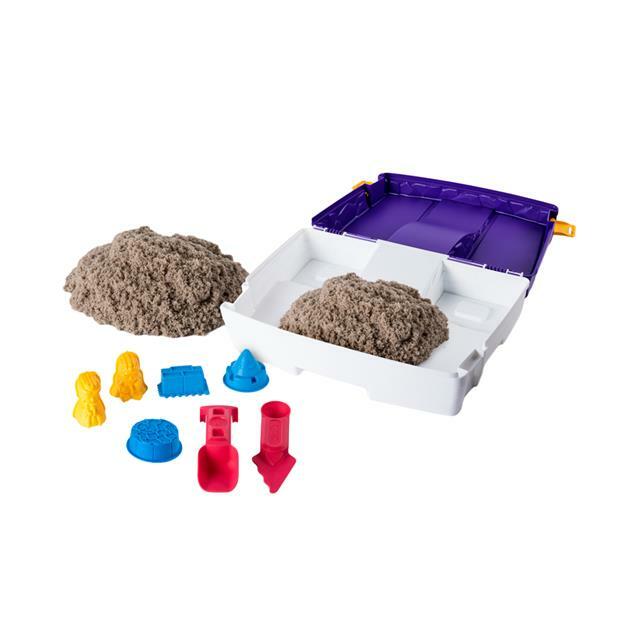 The Kinetic Sand Folding Sand Box includes 2lbs of sand and provides an extra-large play space for kids to create anything they can imagine with the 7 multi-use molds and tools. Fold it up for easy storage and clean up, or open it to discover over 20 ways to play! Kinetic Sand never dries out so you can use it again and again. 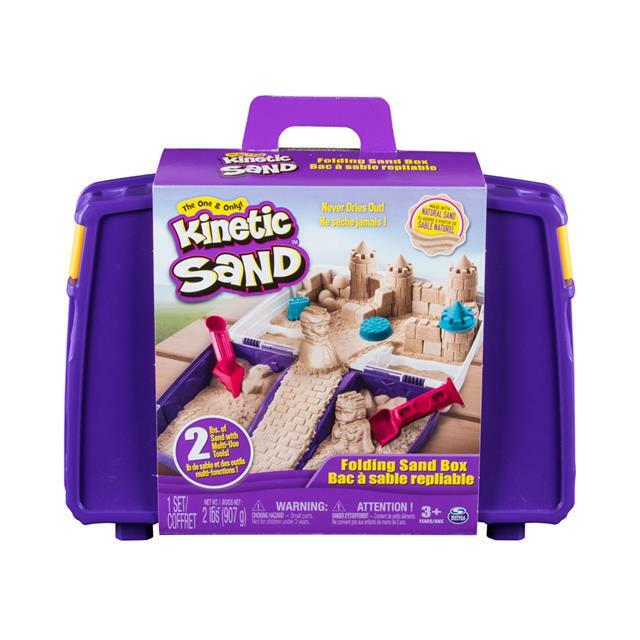 Feel the fun with the Kinetic Sand Folding Sand Box!